Lord, today we pray about the Zika virus. 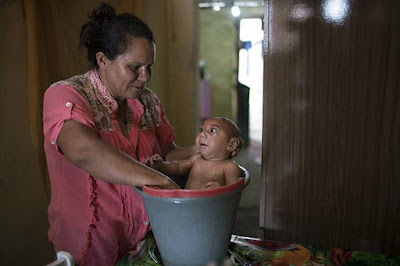 Many of us are just learning about this illness, due to it recently being declared a global public health emergency--after being linked to brain deformities in babies in South America. Lord, no parent wants his or her child to suffer. You grieve with these families whose babies are born with microcephaly. Please comfort these parents and give them the strength they need to create loving, healthy environments for these children. Give scientists wisdom and resources to learn more about this virus and its link to these deformities. Help those who contract the virus recover as quickly as possible, accessing medical care when needed. Please slow the spread of this mosquito-borne illness, which has thus far developed a farther reach this year. In Jesus’ name we pray, amen.